Kong: Skull Island Run Time: 1 hour and 58 minutes Fantasy/Science Fiction Synopsis: This film fully immerses audiences in the mysterious and dangerous home of the king of apes as a team of explorers ventures deep inside the treacherous, primordial island. The Ottoman Leuitenant. Run Time: 1 hour and 46 minutes. Drama/War. 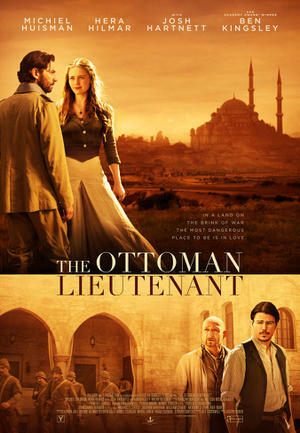 Synopsis: A strong-willed woman, frustrated by ongoing injustice at home, leaves the United States after meeting Kids, an American doctor who runs a remote medical mission within the Ottoman Empire — a world both exotic and dangerous, and on the brink of what is about to become the first World War. There, she finds her loyalty tested to both Jude and the missions founder when she falls in love with their perceived enemy, a lieutenant in the Ottoman Imperial Empire. Go let us know what your thoughts are about this week’s up mong films! Tweet us @TheNerdChambers. Are you happy they are remaking King Kong? Has it been long enough? We have been taking a lot of time to talk and delegate where we want to take the Nerd Chambers after we graduate. We hope to expand, and take this from a fun school project to a true brand. Our ideas are anywhere from gaming news stories, game/movie reviews, interviews with gamers/cosplayers, and much much more. We are open to any ideas of games to try and new topics to cover in the culture of nerdom, so please feel free to tweet us your ideas to @TheNerdChambers on Twitter! Also be sure to follow to see any special give aways, new stories, and upcoming guests! So let the forces of nerds band together, and help conquer the world by joining The Nerd Chambers.